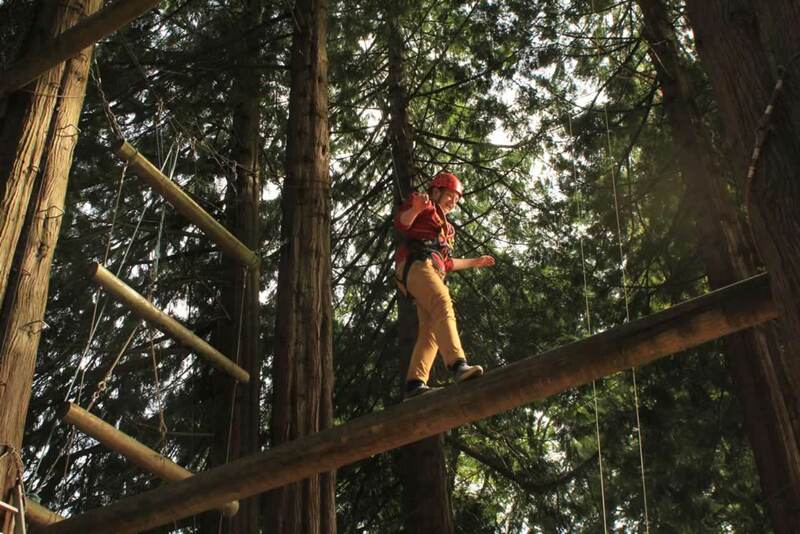 A thrilling, instructor led day of activity for River Dart Country Park visitors. 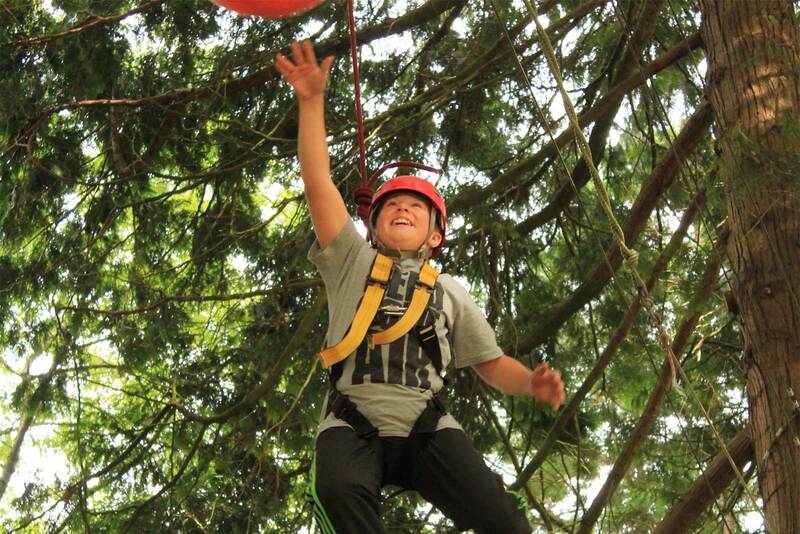 Campers at the River Dart Country Park and day visitors are invited to enjoy a one day Adventure Experience. Price is per person. Please contact us to check availability, book and pay. We have combined some of our most popular activities in order to offer the perfect, adventure filled, instructor lead day. Minimum age 8 years. Maximum 10 people per session so pre booking is essential. Note: These activity days run every Tuesday, Wednesday & Thursday from (28th – 30th May) and (23rd July to 29th August). Prices Include instruction, transport and all safety equipment. Please bring a packed lunch and drink! If you were beginning to think that our location was unbelievably good for outdoor activities then the fact that we are five minutes away from Pridhamsleigh Caverns should confirm this! It is approximately 1.1 kilometres in length with a total depth of just over 50 m including Prid II. Pridhamsleigh is a great site for novice cavers. It has a large variety of passages which lends itself to longer explorations. Due to the nature of the connecting and non connecting overlapping passages in the cave, surveys (maps) of the cave are hard to interpret. The cave contains ‘The Lake’, a large elongated pool, which has been dived to discover a second chamber, with no passages leading off it. This chamber is the biggest in Devon and is named Gerry’s Chamber after its discoverer, the late Gerry Pritchard. Perfect for your first caving experience, the activity is suitable for anyone with sufficient mobility. Those of you with a pre-conception of caving as being small tunnels and tight squeezes will be blown away by the caving in South Devon, particularly the church sized Bishop’s Chamber but if you do like a squeeze then we can always find you a challenge! We provide transport from Holne Park and all specialist equipment including an overall. You need to wear your bathing costume underneath and ideally a pair of fleecy jogging pants and jumper with a thermal top. If you have your own wellies then bring them along. 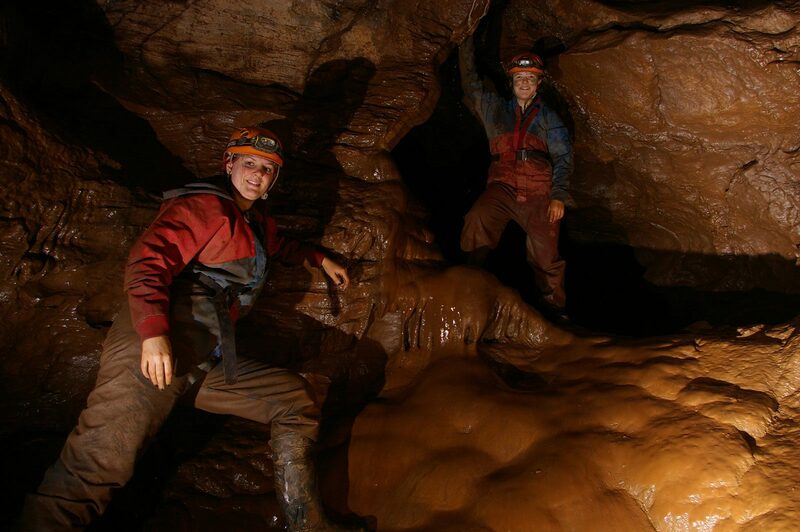 Caving in South Devon is an ideal activity for a family adventure, birthday treat, school outing, corporate challenge, stag or hen party activity. Groups, individuals, adults, children, special needs, whatever your age or ability we have plenty of excitement install for you. Dartmoor is a wonderful place for both groups and individuals to climb. Many of the granite tors scattered across Dartmoor offer a range of routes, including some challenging ones. Bouldering opportunities also exist on Dartmoor. We offer various opportunities for learning the basic skills of climbing, but we also have some good climbing for those individuals who want to go out independently. Many of the granite Tors for which the National Park is famous offer both challenging routes and exciting bouldering opportunities amongst some of the wildest countryside in the south west. 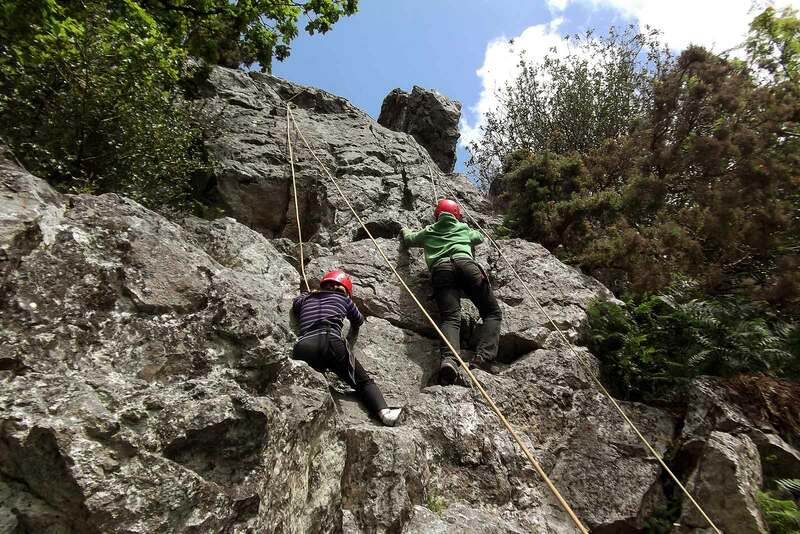 Due to our location on the edge of Dartmoor we are spoilt for choice with several popular rock climbing locations with routes of varying degrees of difficulty, all within half an hour’s drive. For introductory climbing sessions we tend to use Leigh Tor, Dewerstone or Chudleigh. 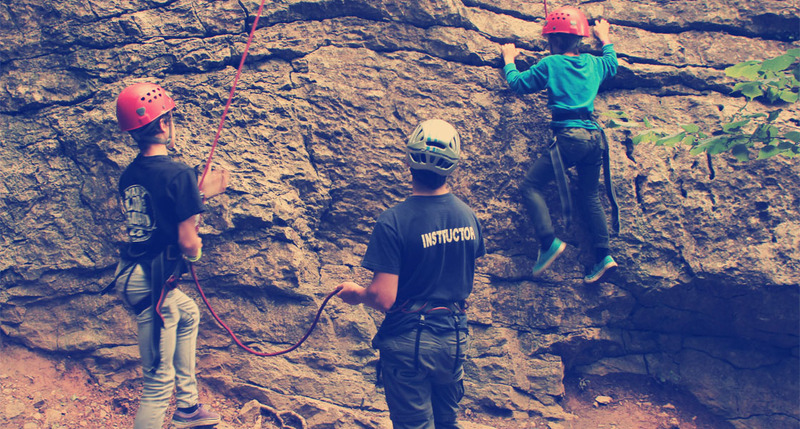 This activity is suitable for persons of all ages and the participants will learn the basics of climbing and abseiling including belaying, technique and some rope work. We provide transport from the River Dart Country Park and all safety equipment. participants need to wear clothing suitable to the weather expected but this should be with long sleeves, trousers and securely laced trainers. Rock climbing is great for groups wanting to work on Team Building skills. It gives a confidence boost facing real challenges and proves to gain trust amongst colleagues. Come along to boost team relationships or just a fun day out of the office. Anything but pampering… climb to the top of a pole while attached to a rope then jump off and attempt to touch a swinging ball. It looks easy when you’re on the ground! Walk along horizontal telegraph poles set high up in the trees. The key word in the last sentence is definitely ‘high’ but you’ll be secured by a rope controlled by the rest of your group! Have a go at navigating canoes and kayaks around our lake & play games to test your skills. Please contact CRS Adventures to check availability, book and pay. 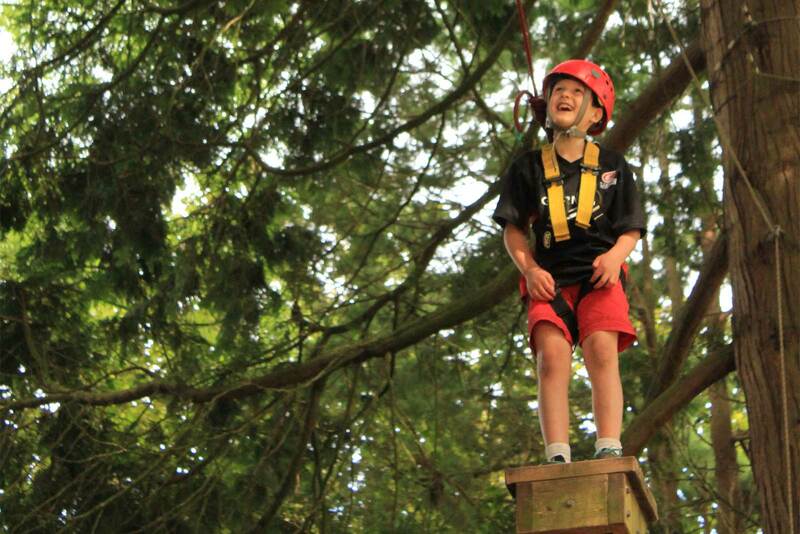 Tel 01364 653444 or e-mail enquiries@crsadventures.com. Note. All outdoor activities involve potential hazards – for copies of our risk assessments please contact CRS Adventures on 01364 653444 or email enquiries@crsadventures.com. A medical consent and declaration form must be completed for all participants, a copy of this form will be emailed/given to you at time of booking and must be handed to reception on the day of your session. SPECIAL OFFER Buy one place & get 2nd half price! When booked before 30th June 2019.